I love comfort food, especially when it comes to chilly autumnal evenings where the best way to spend the evening is tucked in a special blanket on the sofa watching Strictly Come Dancing and X Factor whilst tucking into something soothing and warm, and rice pudding has to be one of the best for that. My Mom has always made a good rice pudding, its a firm family favourite. Since realising my intolerance to dairy however, I had to miss out on this tasty treat. That was, until recently, when we tried making a dairy free rice pudding using rice milk – and wow it worked YEAH! Preheat the oven to 150c / 300f / Gas Mark 2. Place the rice, rice milk and raisins (if desired) in an ovenproof dish. Sprinkle a little nutmeg over the top. Place in the over for 2 hours. Leave to cool slightly, then serve warm. Can also be eaten chilled. Use the same ingredients replacing 5 oz pudding rice with brown. Weigh out the rice and wash under cold water for a couple of minutes to remove the starch. Place in a saucepan on the hob with the rice milk, raisins (if desired) and a sprinkle of nutmeg. Bring to the boil. Then turn down the heat to a gentle simmer and cook for approximately 30 – 40 minutes, or until the rice is tender and fluid has been absorbed, stir occasionally. Take off the heat, cover and leave in the pan to steam for 15 minutes. 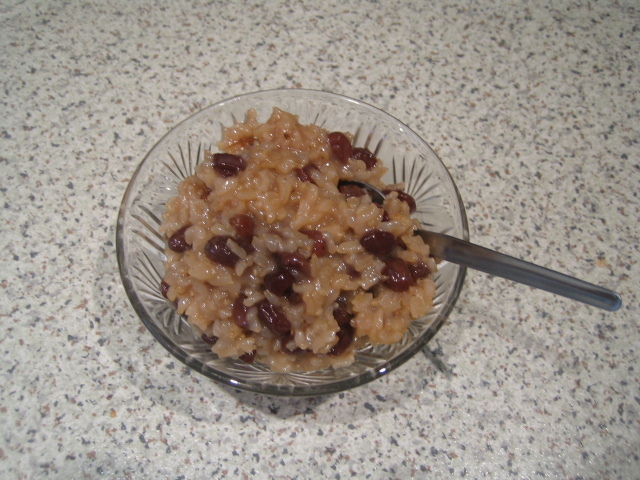 Note – brown rice, in its nature, will be firmer than pudding rice and so will have more bite to it. Serve as is, or with a spoonful of St Dalfours Fruit Spread (available in a variety of flavours) to give the rice pudding that extra edge. Use half Rice Milk and half Vanilla / Almond / Hazelnut Rice Milk for extra natural sweetness and flavour. Split open a vanilla pod and scrape out the seeds adding them, and the pod, to the rice pudding before cooking. Be sure to remove the pod before serving. Use half Rice Milk and half Coconut Milk for a small added luxury. Happy Autumnal Comfort Food – enjoy my dairy free rice pudding – Yum! Would this be the 32 oz/946 ml carton or a larger size? Just made the rice pudding with Japanese rice on the stove top. Unbelievably creamy and delicious. Thank you.